Cleaning shades is one of those chores that always seems to fall on the back burner of house cleaning priorities. However, shades collect a large amount of dust that aside from looking unsightly in your home décor, can also cause allergic reactions. 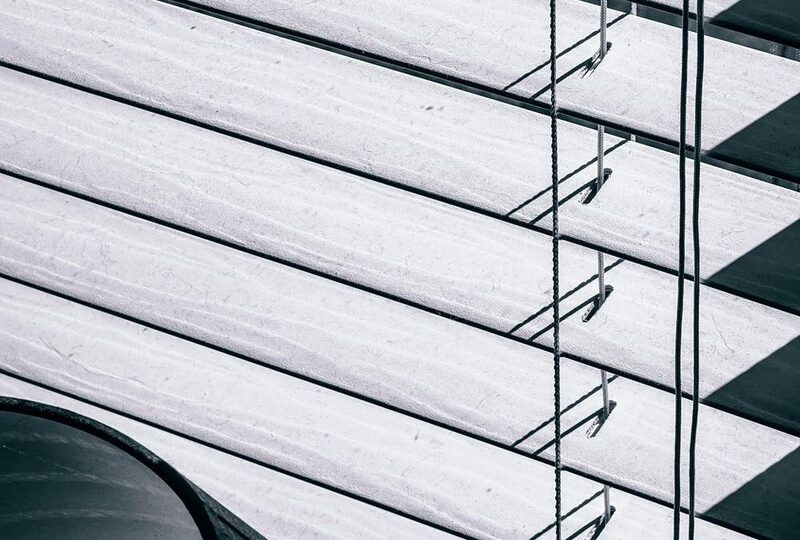 Although it seems like it would be bothersome and time-consuming, it really only takes around 30 minutes a month to keep shades nice and clean. Here are some tips on how to keep your all of your house shades clean year round. A popular pick for those who want energy efficient window treatments, cellular shades also come with the advantage of being easy to clean. All you have to do is use the dusting tool on your vacuum and going over it on low suction, that’s it! If there are any existing stains, you can get rid of these by lightly blotting them with a sponge, lukewarm water, and dish detergent. Whether you have flat, draped, or pleated roman shades, cleaning these is quite easy. Simply use you the soft dusting brush attachment on the low suction setting, and gently go over the shades. It is best to use a handheld vacuum if possible. Should you find any unsightly stains on these, simply spot clean them with a cloth dipped in mild detergent. Be sure not to over-saturate it, gently rinse and blot dry. These ethereally trendy transparent window shades may look delicate, but they are actually quite strong as they are made from sturdy polyester that has been knitted. No fancy equipment needed here, just vacuum with the brush attachment on the very lowest suction setting. Roller shades have become one of the most versatile of shades because they can come in a wide range of textures, colors, and fabrics. For these, all they usually need are a simple going over with the vacuum’s soft brush tool, and if necessary a little bit of spot cleaning. If you have classic vinyl roller shades, simply wipe the shade in sections using a sponge or well-wrung cloth that is dipped in a solution of mild detergent and lukewarm water. Begin wiping from the bottom, and work your way up to the top making sure to rinse in between sections. Then after you’re done, leave the shade extended so that it can dry. Another way to clean these is using a bath (vinyl only). Cover them up all the way in the bathtub, add squirts of dishwashing soap, and then begin cleaning the shades on both sides using a soft brush. Then rinse, air dry, and hang them up again. That’s it! Keeping your shades clean may seem like a chore, but when it gets pared down to a few go overs with the vacuum once a month, it doesn’t seem quite so bad. Use these simple methods to keep your shades clean, and you’ll never have that naggy feeling tugging on your conscience about the dust on your shades ever again.